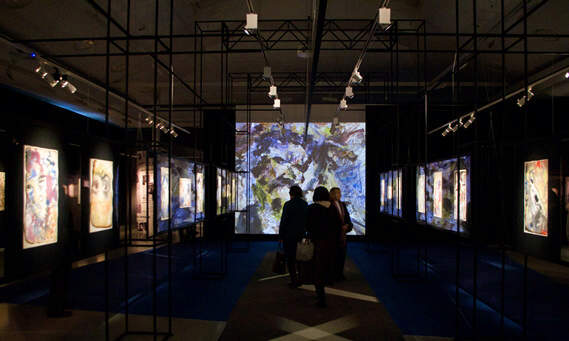 Challenge: To create a multimedia installation in the New Manege exhibition halls, located in Moscow’s Red Square district, to introduce the works of Russian artist Anatoly Zverev – nonconformist painter and visionary. 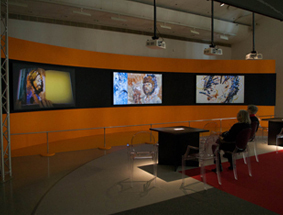 The project team wanted to accompany the exhibition with large high quality video images, to immerse visitors into the artist's world. 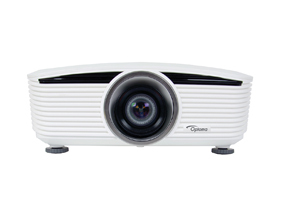 Solution: Optoma's new ProScene EH505 and ProScene EH503 projectors were installed together with 3D-tek's specialised projector screens, designed to increase contrast and reduce visible pixel structure. 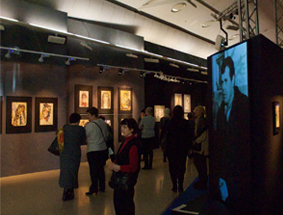 Results: The exhibition, featuring numerous works by Anatoly Zverev, has been brought to life through the spectacular image quality and outstanding brightness of Optoma’s 5,000 and 5,200-lumen WUXGA and 1080p resolution projectors.